The first time I hiked the trail was back in 1996 when I was 8 years old. At that time it was just my dad, brother, and I on the trail. We grew up with the trail and hiked it at all times during the day. In fact, we spent so much time on it that my dad labeled the trail to keep hikers on the right path. 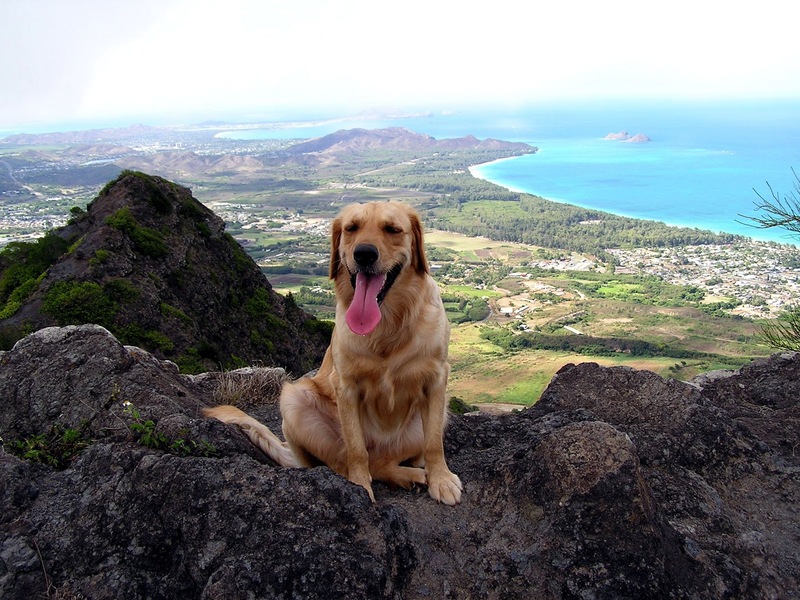 Sometimes when we were feeling adventurous we would hike up Mariner's ridge, across the Ko'olau mountain range, and come down at Kamehame Ridge or Hawaii Loa Ridge. When we did not have much time to spare, we would cut of to the left right before reaching the top to the back and rock climb the remaining distance to the top. Now, every year the trail gets more and more popular, though not as popular as Koko Head Crater. In addition to plenty Yelp reviews, it is also on Trip Advisor (ah)! The Mariner's Ridge trail has two very unique properties. One, even when it is superrrrrrr hot outside, it is not hot on the trail. After the initial switchbacks in the sun (~15 minutes), the trail becomes a lot cooler and more forested. The trees get bigger and there are more shaded areas. Two, if there is slight rain on parts of the island, somehow it is still dry on the trail. The first set of photos is from the Mariner's Ridge trail itself both along the trail and at the top of the summit. 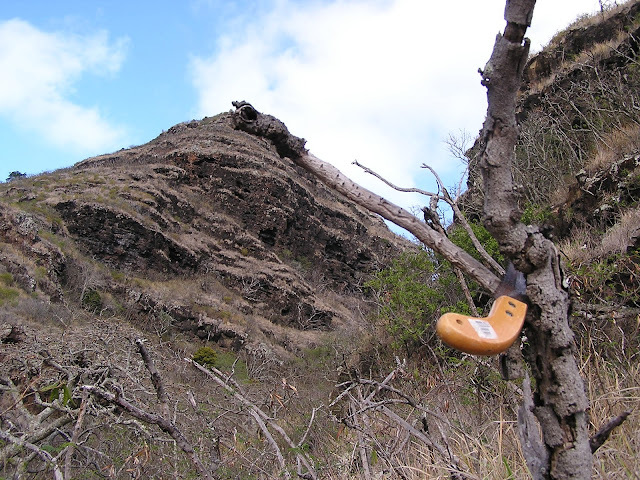 The second set of photos is from trail variations at the top of Mariner's Ridge: rock climbing to the top, Mariner's Ridge to Hawaii Loa Ridge, and Mariner's Ridge to Kamehame Ridge. 2. Old-school Koko Crater. Taken in 1998! 4. The beautiful Ko'olau mountain range. Follow this to Hawaii Loa! Some photos of us hiking along the trail! 5. The trail starts off in the open. 6. At the beginning, you can still see the residential houses on Mariner's Ridge. Teen Daisy + Koko Crater. 8. Lookout 1. David and Hawaii Kai. 2004. 9. The same picture. Last point before entering the forested area. 2011. 11. This part of the trail is so cool, regardless of how hot it is. 12. The rock about midway we always take a picture at! 13. Daisy, about 3/4 of the way. 14. Mid-point between the two "tops." Skye had a hard time getting on this rock. Fear of heights, lol. Here is where you can really see my family's history with the hike. The first three photos are taken from the same place, overlooking windward Oahu, but just in different years! 15. Lucky, our first dog. November 23, 2002. 16. Baby Daisy! September 5, 2006. 17. Skye and I. September 5, 2011. 18. Had to do it! 19. Family photo (minus mommy and Daisy) at the top! 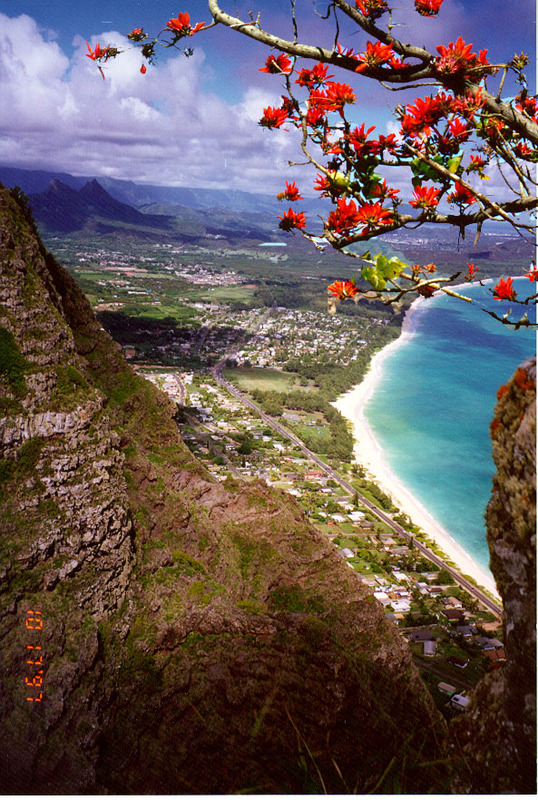 Overlooking the windward side. Trail Variations: Here are a few variations you can take with the trail if you have time or are feeling adventurous! Rock climb to the top: About 4/5 of the way on the trail, there is a pathway on the far left that takes you around the back of the summit to a rock climbing area. From here you can climb to the top! The first time I did this was around 5th or 6th grade. The rocks were as big as me. I remember my pinky getting stung by a bee and I almost fell off the mountain. We kept that a secret from my mom (to keep hiking) until I wrote about it in my college essay. That being said, it is not a difficult climb. Two of our dogs, Lucky (our first dog, the white lab), and Daisy (the older golden) were able to climb it without any difficulty. Skye, unfortunately, is afraid of heights. 20. Skye hiking down from the back. 21. Unfortunately, he could not make it down this part. He looks like he's posing but he's actually scared shitless. 22. Little bit of climbing to get to the top of the summit from the back. 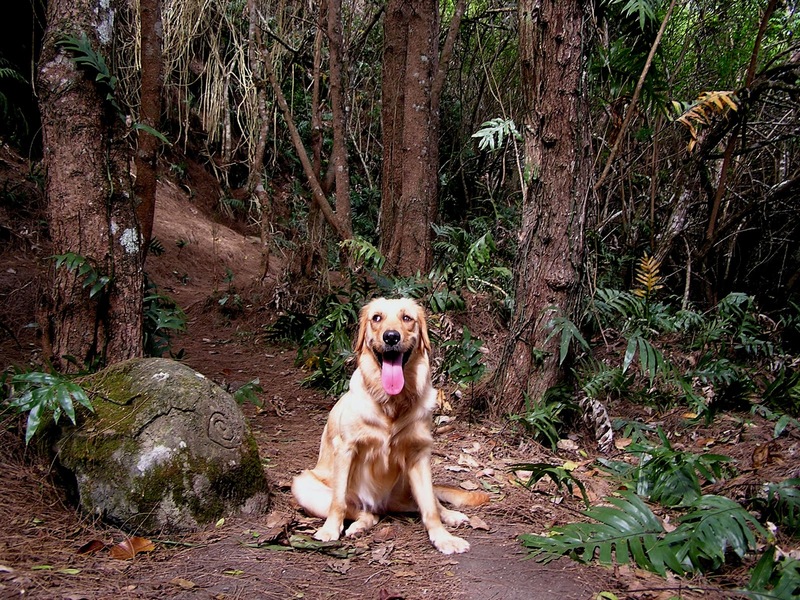 Hike to Hawaii Loa: At the top, turn left towards Kuli'ou'ou, there is a path to Hawaii Loa. The route takes approximately five hours and is little more difficult. 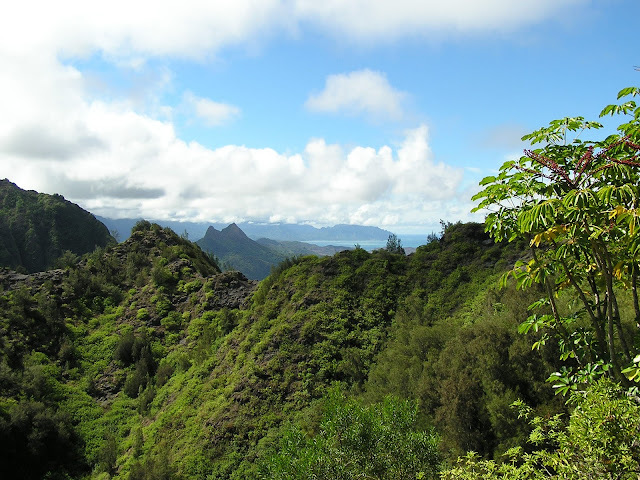 The first part, the hike to the top of Kuli'ou'ou, is pretty easy, and the trail is well-defined. It is dry and completely in the sun. 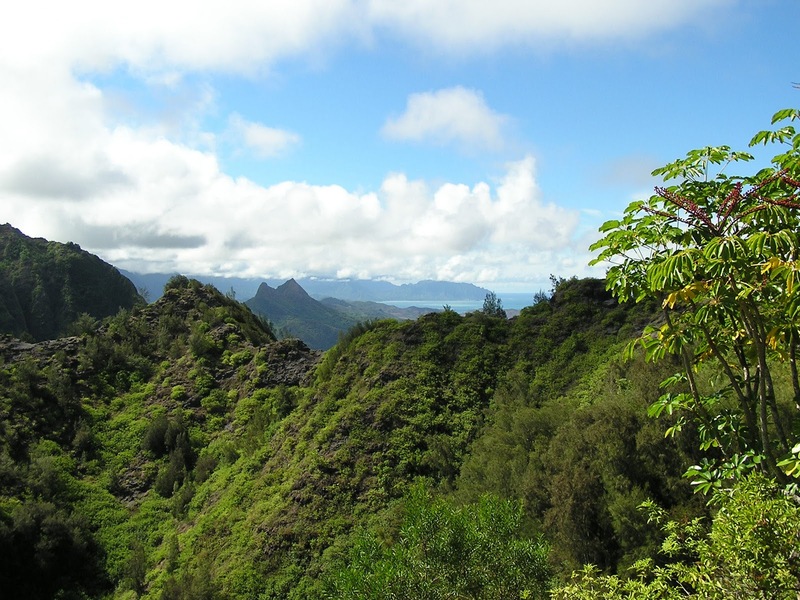 The most challenging part of the route is from Kuli'ou'ou to Niu Valley. There are lots of ups an downs and large drops, in very narrow areas. I remember being literally on the edge. So for those of you scared of heights, you may not want to do this. It is also completely in the sun. Also, be prepared to get some scrapes and cuts, but it's totally worth it since this is one of the most beautiful parts of the trail. I'm not sure how it is now, but back then, there were not many hikers who hiked this part of the trail. 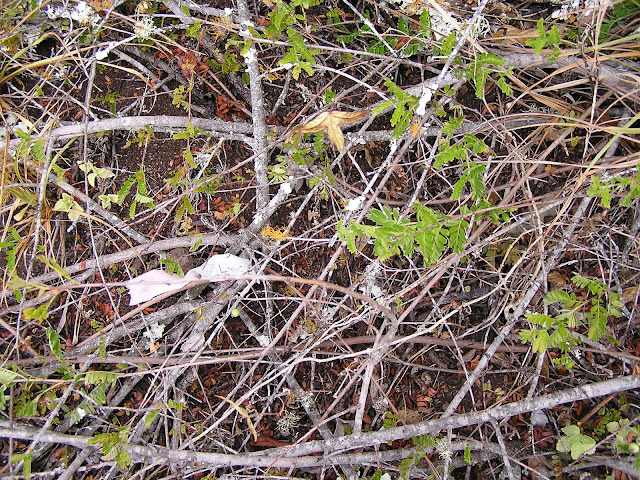 The trail is obvious, but very vegetated. Once you reach the top of Niu Valley, you are 90% done! The final hike to the top of Hawaii Loa Ridge is short and easy, and many people have hiked this part. 23. Rest assure, my dad marked the trail. Hike to Kamehame Ridge: This hike is probably one of the most beautiful hikes on Oahu, and not too many people know about it. 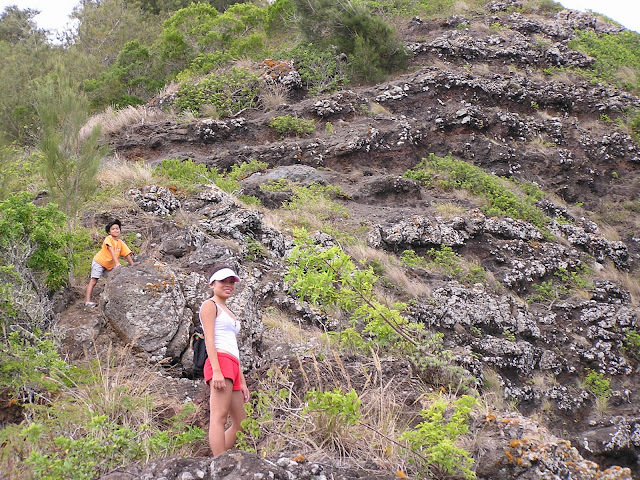 The trail goes from Mariner's Ridge to Kamiloiki Ridge to Kamehame Ridge. Like the Mariner's Ridge to Hawaii Loa Ridge trail, this trail is narrow and on the edge. It is also very steep. We cannot bring Skye on this trail because he has a fear of heights, haha. 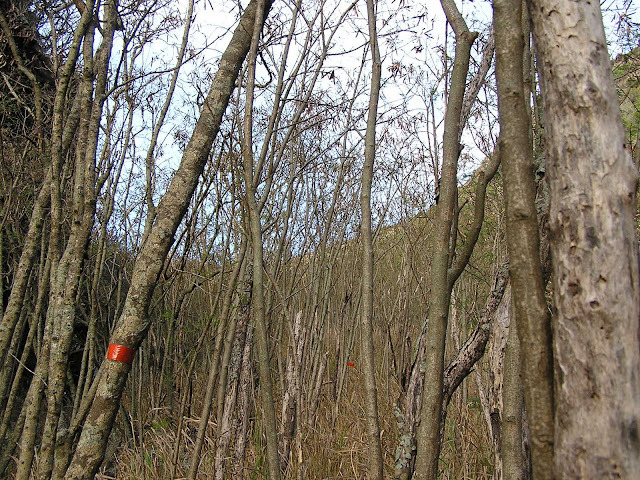 The trail has not gotten popular yet so the trail is vegetated and not very defined. Not to worry about getting lost though, since my dad just hiked it again very recently and the Liao ribbons are still there, 15 years later! There is also rope assistance near the top of Kamiloiki and Kamehame Ridge. Going from Mariner's Ridge to Kamehame Ridge is mostly downhill, and the reverse is mostly uphill. 24. Hike to the top of Kamehame ridge from Mariner's Ridge through Kamiloiki Ridge. 1997. 25. The trail is not visible and vegetated. So my dad cleared on one of the most confusing parts of the trail. 26. ... and marked other parts of the trail with Liao ribbons. 27. Still vegetated to this day. Liao ribbon on the top left still there ~15 years later! 28. Rope assistance to the top of Kamiloiki Ridge. 29. Rope assistance to the top of Kamehame Ridge. 30. 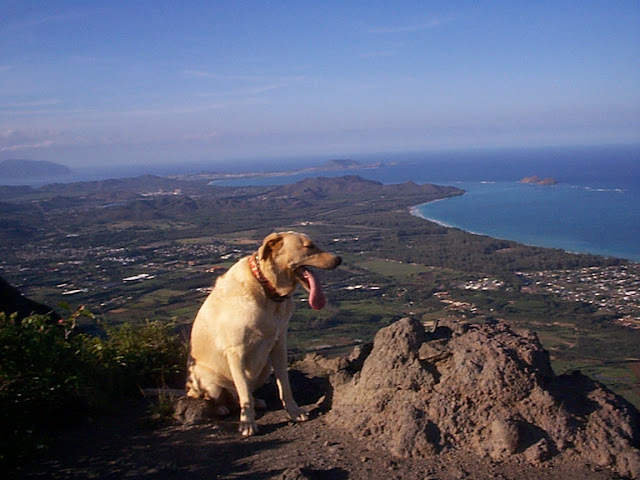 View of Kailua. 1997. 31. 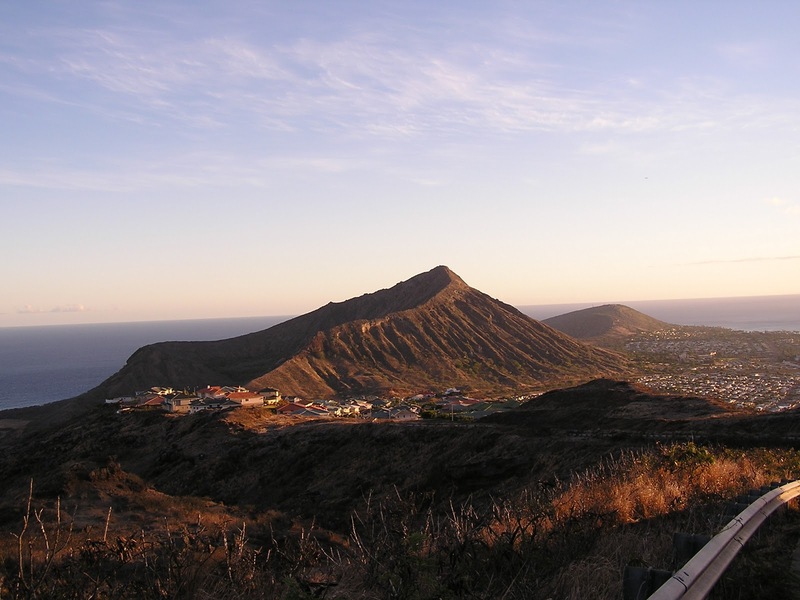 View of Koko Crater and Koko Head from Kamehame Ridge. It is so difficult to capture all the beauty this trail has to offer in photographs. Without a video, none of these photos show how beautiful the trail truly is. 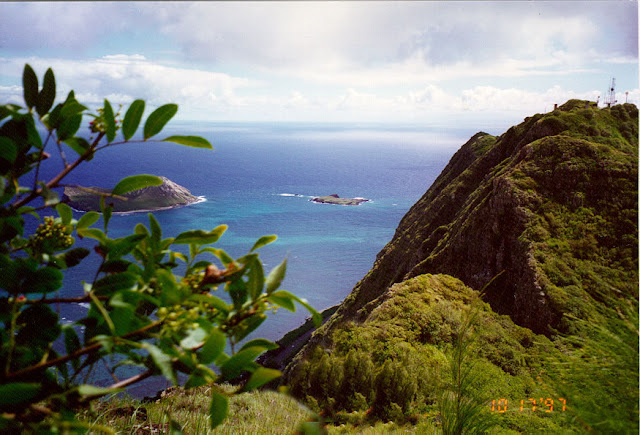 Next time I'm home I will hike the trail from Mariner's Ridge to Kamehame, or reverse. It's been awhile! Writing this post has made me home sick.